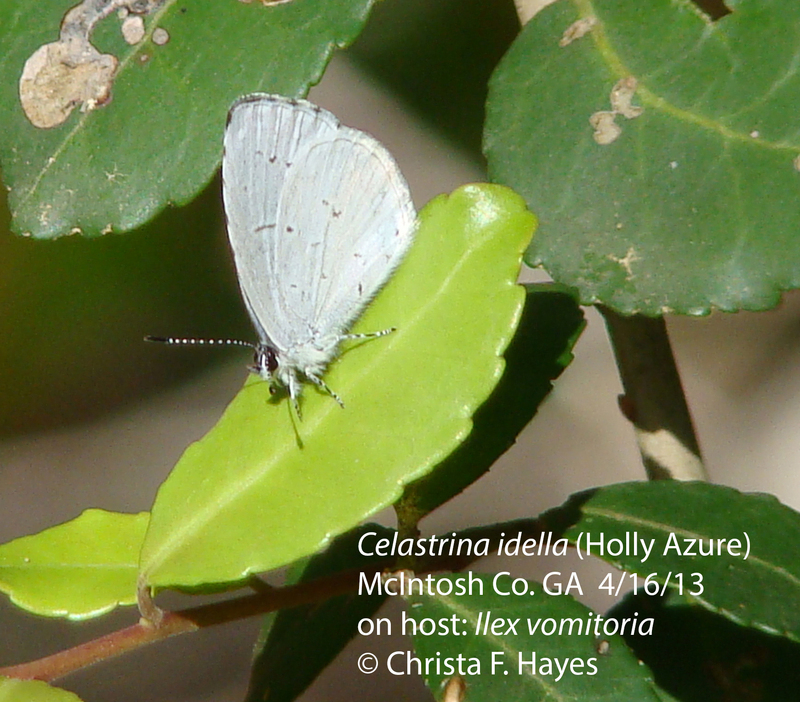 Identification: Upperside of male all pale blue, sometimes with white scaling on hindwing. 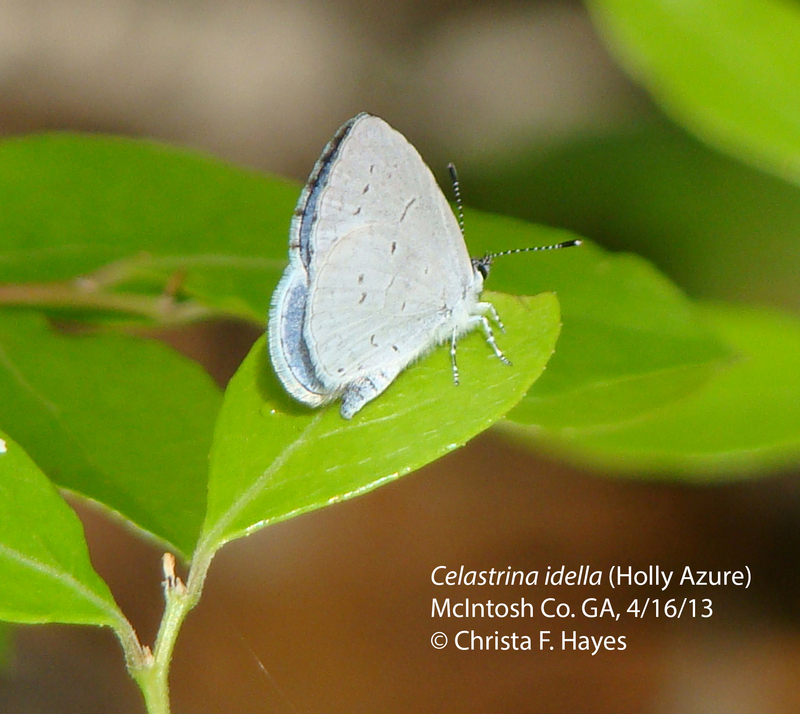 Female blue with small black area on forewing tip. Underside of hindwing pale gray with pale dark gray markings. Wing Span: 1 1/4 - 1 1/2 inches (3.2 - 3.9 cm). Flight: One flight from late February to early June, early in south of range, later in north. 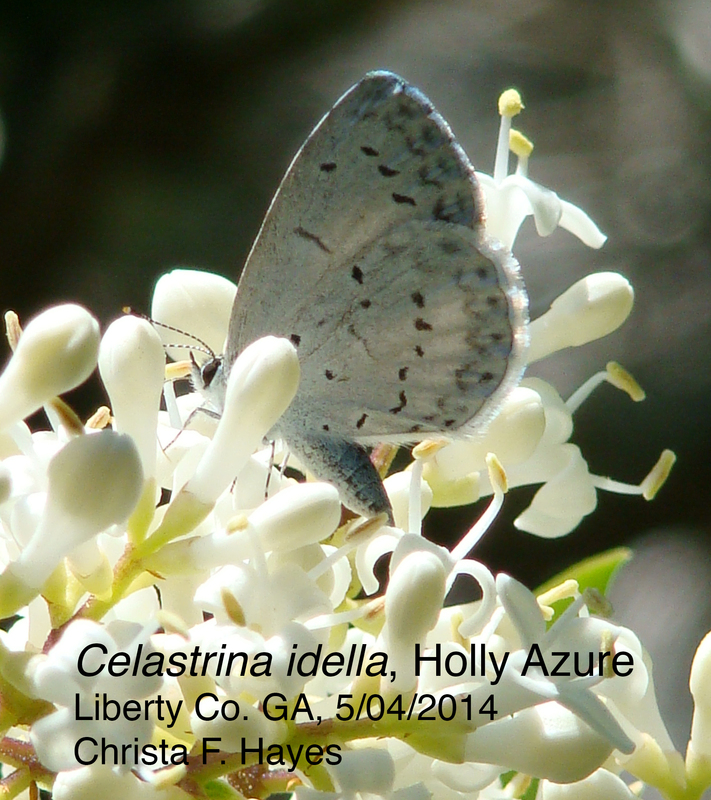 Usually flies after spring flight of Spring Azure. Caterpillar Hosts: Hollies (Ilex species). 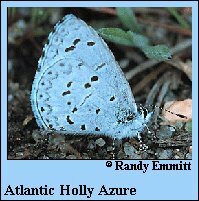 Habitat: Rich, deciduous woods, especially near streams and acid bogs. Range: Atlantic coastal plains from central New Jersey south to South Carolina.